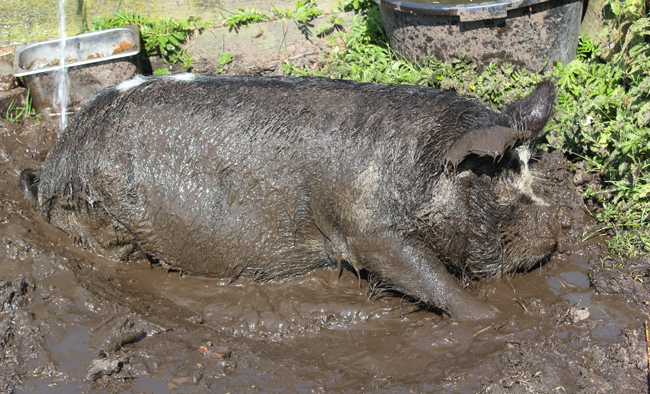 In contrary to popular belief, pigs do NOT like to roll around in their own filth. 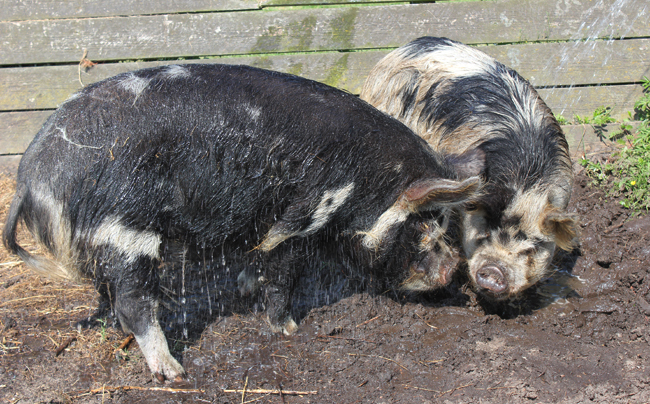 They DO like a good mud bath though! 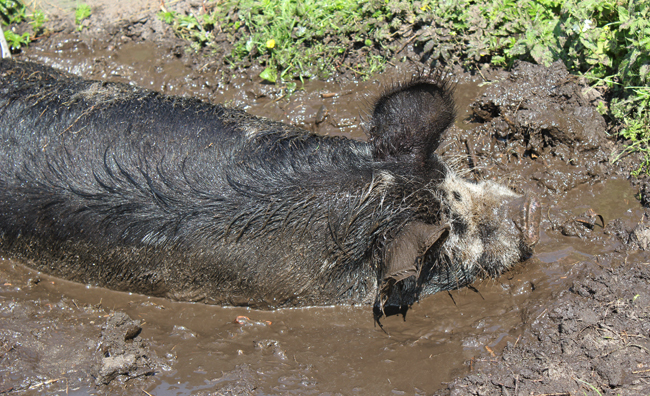 It has been reaaallyy hot out here and all of our animals are having a hard time dealing with it. 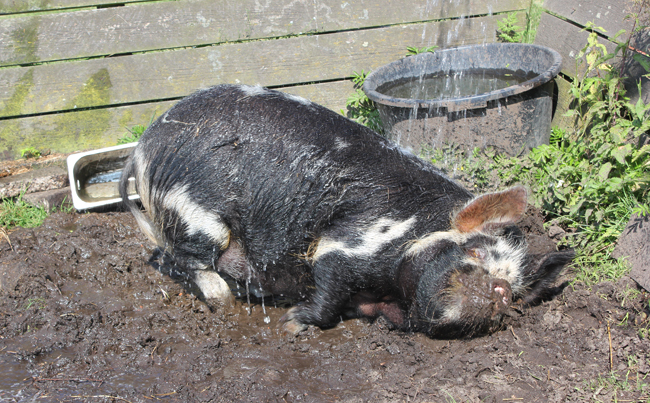 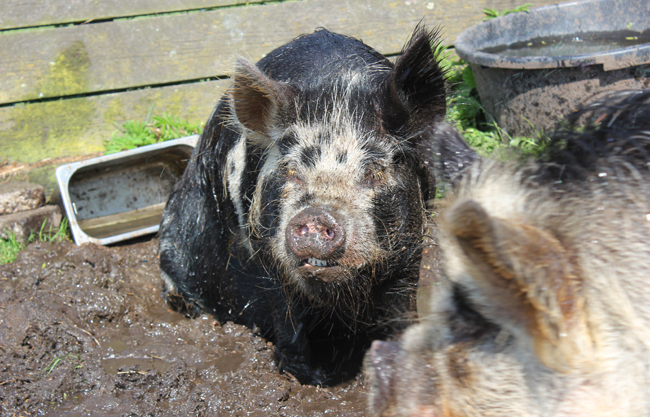 We try our best to make it as comfortable as possible for them though, so we like to hose down our horsies and piggies once a day, and our little Daisy (the black piggy pictured above) loves it like no other! 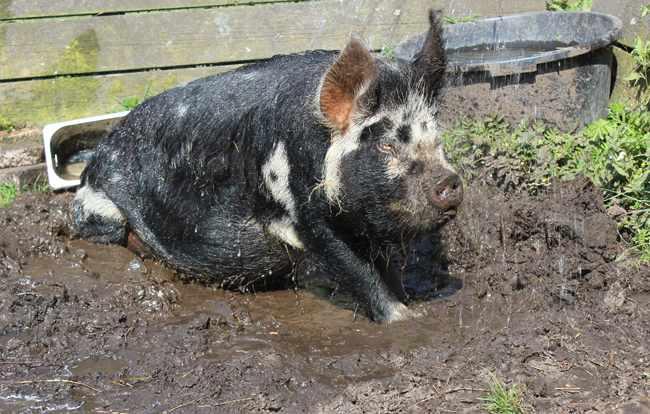 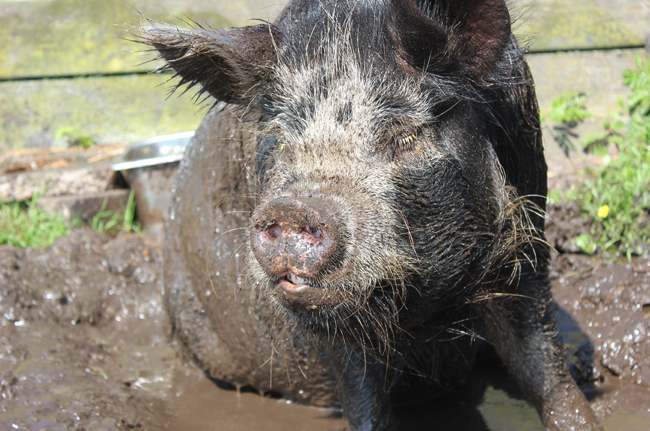 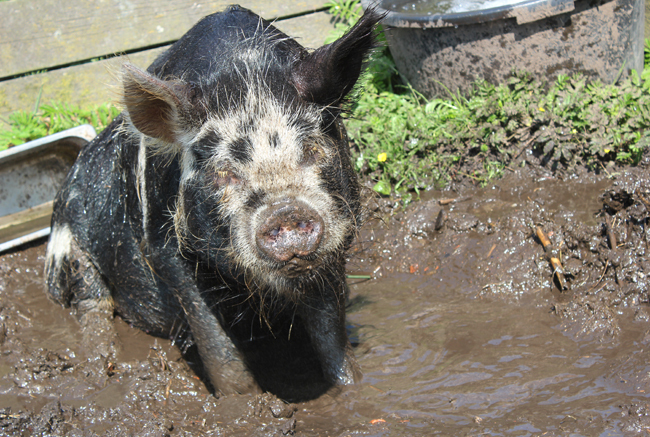 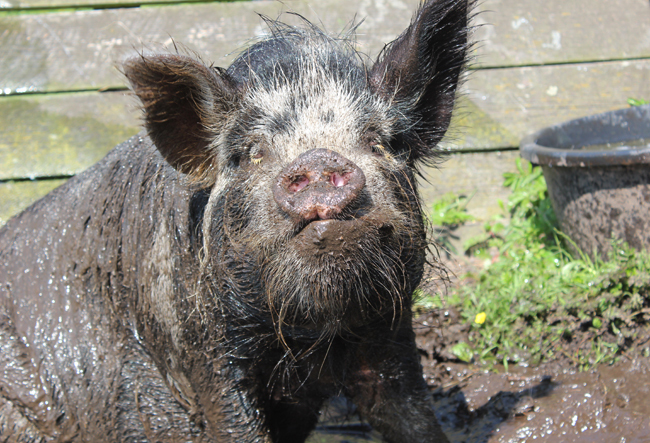 I'm def making a video later, she splashes and rolls around in the mud while she makes the best oinky noises ♥ it's the sweetest thing!